Every September, Peruvian restaurants and famous chefs from around the world gather in Lima for a celebration of Peruvian cuisine. The word mistura means “mixture” in Portuguese. And the cuisine served at Mistura, the biggest food festival in Latin America, certainly reflects a fusion of cultural dishes. This year, restaurants from the Amazon served slices of a monstrous fish called paiche. Chefs from the coast were mobbed by hundreds of people who wanted to sample ceviche. 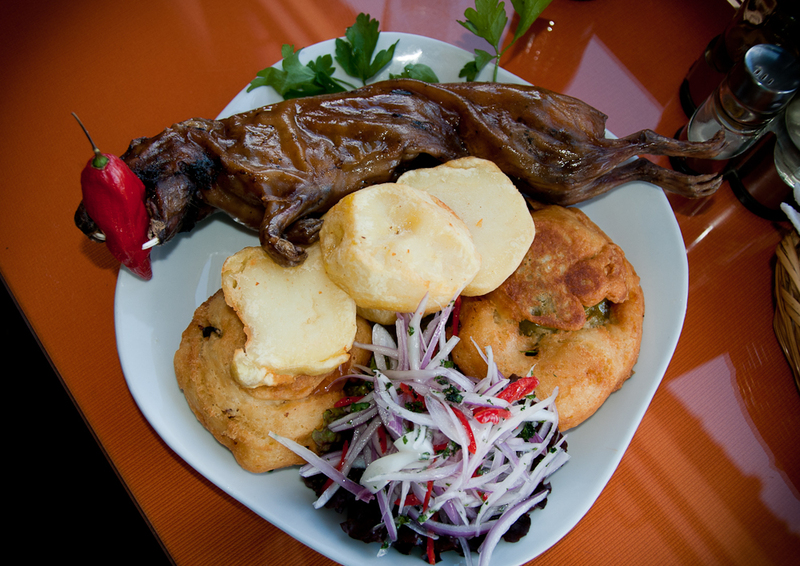 Representatives of the Andean villages passed out plates of quinoa and cuy, which is guinea pig. The gastronomic fair is part of the Peruvian “food boom” that’s put Lima on the map for epicurean excellence, according to The Wall Street Journal and others. The festival has grown from just 30,000 attendees back in its first year, 2008, to an estimated 600,000 this year. In Peru, food is exalted, and chefs are celebrities. When they comment on politics and current events, people listen. A visit from Acurio would be like getting pulled onstage by Oprah. But to understand why Mistura is so popular, and why Peruvians love their food and their chefs with such fiery passion, you have to know the violence that plagued this country for decades.